We’re stoked to tell ya that we’re finally releasing our entire catalog on vinyl. For real, it’s your lucky day. And yeah, you could’ve gotten Of the Blue Colour of the Sky and Hungry Ghosts on vinyl before. But we’ve got new (old) kids joining the class. 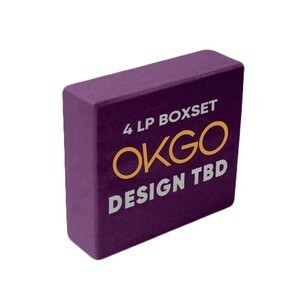 Welcome OK Go and Oh No to the party — the party that’s got a special box set to celebrate. But it’s made-to-order. That means that we’re only making, well, what you guys order. That’s it. Seriously. It’s limited edition — and the power to decide just how limited it is? That’s all yours. Oh, and some box sets will be autographed. Pretty sweet, right? Back to that whole limited edition thing, we have some super-limited stuff for sale. First one to open the link and scroll to the bottom may have a chance, but we can’t make promises. And if you like stuff that’s more widely available, check out our mind-blowing bundles. Link to all is here.